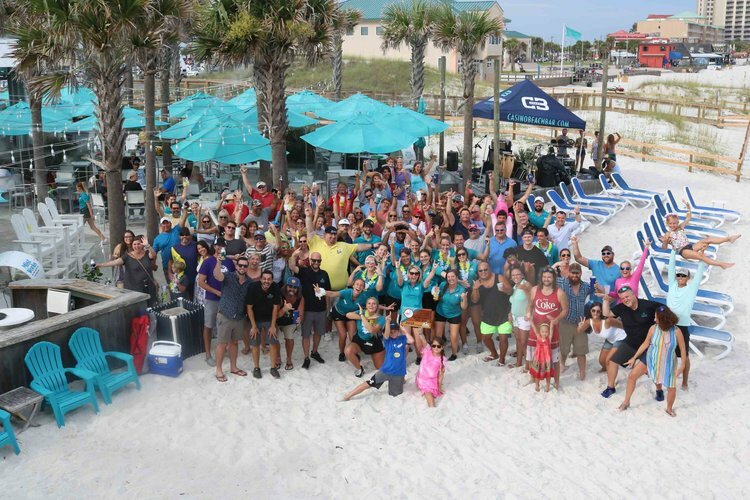 It is that time of the year again where voting has opened up for Florida's Top Beach Bars and we have finished in the Top 10 the last two years. This year we want to make it in to the Top Five so we need you to vote for us and then ask your family and friends to vote for us as well. Please cast your vote for Casino Beach Bar and Grill as one of Florida's Best Beach Bars. Island vibes, live entertainment and beautiful Gulf views take you to a place where time doesn't matter. Don't worry about brushing the sand off of your feet; just walk straight up from the water and have a good time. As iconic as the beach ball water tower, this location has no age, but it has quite a history. From weeding receptions to birthday or office parties we can accomadate your next event with elegance and world class customer service. We can serve parties as small as 20 guests or as big as 200 efficiently. Join us for lunch, dinner or a gulf side Sunday brunch. Our Gulf Coast and Carribean inspired menu features an ecclectic mix of fresh seafood, soups, salads, burgers and sandwiches. We have something for all tastes and appetites.